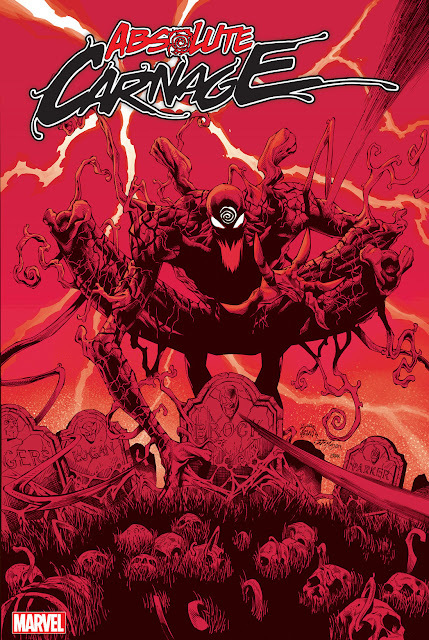 Cullen Bunn's first Venom arc, Monsters of Evil, concluded a little over a week ago and the event of the fall, Minimum Carnage, begins in little under a week. So I figured it was a good time to squeeze in a quick review of Monsters of Evil. 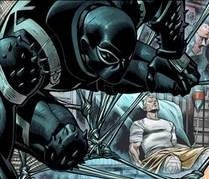 The Story: Venom is on a recon mission for the Secret Avengers. While investigating The Department of Occult Armaments, he crosses paths with Damian Hellstrom. The Good: Art - Thony Silas has some fantastic visuals in all three issues. From the look of Agent Venom, to the demon possessed Venom, to the Monsters of Evil themselves. I really enjoyed the different style he used when Flash was reminiscing about his high school days or when Hellstrom explains 'the decent' to Venom. Katy Kiernan - I think she be a much better asset to Venom's stories than Betty Brandt was. The Bad: The Monsters of Evil - They seemed a bit cheesy. I found the idea intriguing (huge demonic beasts terrorizing Venom), I just don't think they were executed properly. It was also a missed opportunity to have Venom rage and really go up against these baddies. Hellstrom - I'm just not a fan. It is also disappointing that he will be around for quite some time mentoring Venom. The Overall: 3 outta 5. I did like this arc, I just didn't love it. It was a great follow-up to Circle of Four, but I feel like it was just here to bridge the gap between Remender's departure and Minimum Carnage. It probably wouldn't of felt so rushed if Bunn had more issues to work with.